Take nine minutes and watch educators Kevin Honeycutt and Howard Pitler demonstrate their musical creativity as well as skills on an iPhone and iPad in the video, “Tradigital Mini-Concert at AESA Conference.” Better yet, show this video your students and then together, discuss the creative possibilities demonstrated here! Kevin Honeycutt is a former high school art teacher from Inman, Kansas, and is one of the most inspirational (as well as talented) keynote speakers I’ve ever had the pleasure to hear in person. If organizers overlook him again for the 2011 ISTE conference in Philadelphia, they are crazy! Kevin’s professional home is ESSDACK in Hutchinson, Kansas. 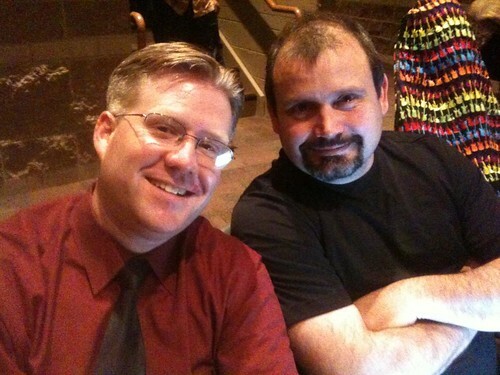 Follow him on Twitter: @kevinhoneycutt. If you’re looking for Kevin online, chances are good he’s not far from Plurk and the amazing online community, Art Snacks. Kevin completely redesigns his professional website (kevinhoneycutt.org) more often than anyone I know. Watch the above video and be amazed. From the same creative mind who brought us, “I Need My Teachers To Learn.” See any patterns here?! 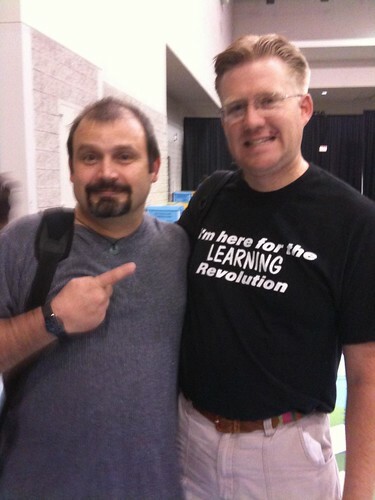 Passion + Creativity + Great Teaching Ideas = Kevin Honeycutt.